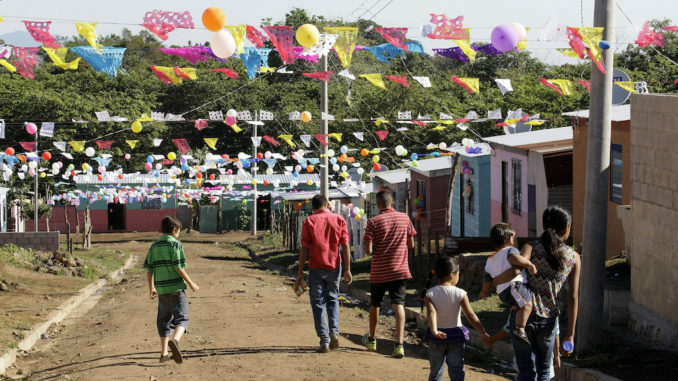 A new government proposal to create a Special Economic Zone along El Salvador’s southeastern coast has laid bare the competing pressures on one of Central America’s few leftist governments. The government’s presentation to lawmakers in the Legislative Assembly of the plan to offer tax and financial incentives to businesses in a new industrial zone, combined with talks with China regarding possible infrastructure investment, has prompted a diverse and complex set of reactions, both nationally and internationally. In El Salvador, the proposal has drawn sharp criticism from social movement organizations that have struggled for decades against an economic development model that pits governments in the so-called “developing world” against each other in a global bidding war to offer the biggest incentives to foreign corporations in set up shop in their country. The Salvadoran government, led by the Farabundo Martí National Liberation Front (FMLN), has highlighted significant differences between its proposal and the corporate free-for-all that the international corporate elite has envisioned elsewhere, like the Employment and Economic Development Zones proposed in neighboring Honduras. But the reassurances haven’t quelled criticism from the left. Meanwhile, amid the Special Economic Zone debate, the Salvadoran government also announced that it was in discussions with China regarding the possible development of the Port of La Unión, envisioned as one of the major development anchors in the zone. 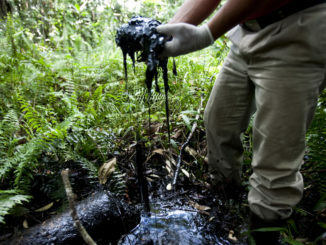 The move has prompted panic from the U.S. government and the Salvadoran private sector, as well as legitimate concerns about potential environmental, labor, and overall economic impacts. The drive towards the Special Economic Zone has gained traction in recent years under U.S.- and Inter-American Development Bank (IDB)-funded Alliance for Prosperity plan for El Salvador, Guatemala and Honduras. The plan was developed in 2014, ostensibly in response to the rising numbers of unaccompanied minors from the region seeking refuge and family reunification in the United States. ZEEs vs. ZEDEs: A rose by any other name? On July 3, Vice-President Oscar Ortíz, who represents the more “business-friendly” faction of governing FMLN party, presented the government’s proposal to create a Special Economic Zone (ZEE) that would include 26 municipalities throughout the eastern departments of La Union, San Miguel, and Usulután. In a nutshell, according to leftist economist and government advisor César Villalona, the government would offer major tax incentives to corporations that would build and operate out of a new industrial zone. “Developers” would be required to invest at least $20 million; “Economic Operators” would be required to create at least 200 jobs or invest $5 million. In exchange, they would be exempt from import taxes, sales tax, property transfer taxes, and from local and real estate taxes for an initial period of twenty-five years, among other financial incentives, including special labor and environmental provisions. During an interview on Radio Maya Visión, Villalona emphasized that the government’s proposal is very different from an earlier private sector proposal to create Employment and Economic Development Zones (ZEDE) or “Charter Cities” in El Salvador that would operate under separate legal, political and economic regulations. The National Association of Private Enterprise (ANEP)’s 2014 proposal was based on a model in which the host country designates an area for development and then turns it over to a “developed” country that would serve as the administrator, potentially with no involvement from the state whatsoever. Villalona draws a clear line between this model and the Salvadoran government’s proposal. He argues that the ZEEs would allow the government to maintain control of its territory and sovereignty. The ZEEs would be governed by a Board of Directors made up of 10 people, the majority representing the public sector, including the Ministers of the Economy, Environment, Public Works and the Treasury; the heads of the Export and Import Promotion Agency of El Salvador (PROESA); the Technical Secretary of the Presidency; two mayors from the 26 municipalities in the zone; and two corporate representatives, one each from the “Developers” and “Operators” groups. 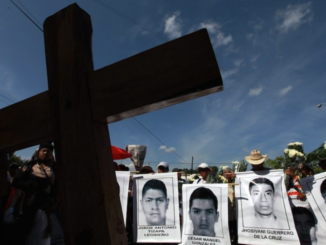 However, community and environmental organization aired sharp criticism of the proposal at recent events at the University of El Salvador and the University of Central America. A constellation of organizations has come together under the mantle of “Our territory is not for sale” to oppose the Special Economic Zones. 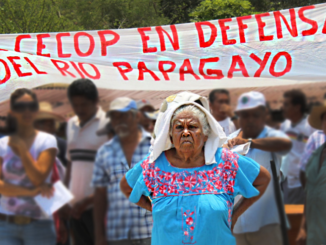 Alongside the environmental movement, El Salvador’s union movement has, since the 1990s, led the grassroots popular struggle against privatization and other neoliberal policies they slam for worsening dispossession and exploitation, such as the 2013 Public-Private Partnerships law that mandates the state open major infrastructure and other public resources to transnational bidders. Even advocates like Villalona have criticized the government’s plan for including neither representatives of neither organized labor nor the Ministry of Labor on the proposed board of directors for the Special Economic Zones. This, along with requiring a higher-than-national minimum wage, is one of many reforms he is recommending as the law moves forward to debate in the Legislative Assembly. But the fundamental concern from social movement organizations in El Salvador is the underlying economic model itself, of which the FMLN’s triumphant victory in 2009 was a pointed rebuke. After twenty years of right-wing ARENA party rule, the FMLN promised a democratic alternative. While in power, ARENA rammed through a host of neoliberal “shocks” to the post-war economy, from rapid-fire privatization of state industries to eliminating price floors for small farmers, Though the FMLN government has largely abandoned ARENA’s aggressive pursuit of a neoliberal agenda, it has simultaneously faced a ferocious right-wing bloc in both the legislature and Supreme Court that has curtailed numerous initiatives to increase domestic taxation and redistribute wealth in the country. The political dynamics have contributed to the government’s continued reliance on international loans and foreign aid, remaining stuck in an overall framework that continues to be dominated by U.S. and transnational corporate interests. Whether due to pressure from the global financial institutions and foreign governments that wield tremendous power over small economies like El Salvador, or the independent position of certain government representatives that attracting foreign investment is essential to El Salvador’s economic growth, the administration of President Salvador Sánchez-Cerén appears willing to finally go down the path the U.S. has been pressuring the FMLN government to take, albeit with a proposal designed to mitigate some of the most disastrous potential impacts. It’s no surprise that Special Economic Zones loom large in the 2014 Alliance for Prosperity plan, a re-packaged Plan Puebla Panama which the Obama administration and many Democratic leaders tellingly hyped as a “Plan Colombia” for Central America. And yet, U.S. Ambassador to El Salvador Jean Manes is hardly shouting from the rooftops after the government’s highly-anticipated announcement, as might have been expected. On July 8, El Salvador’s minister of economy, Luz Estrella Rodriguez, who recently replaced Tharsis Salomón in a cabinet shake-up that followed the March 2018 legislative and municipal elections, informed the press that China has expressed interested in investing in the Port of La Unión, as well as other areas in El Salvador. Port concessions have long been a heated issue in El Salvador. The FMLN has blocked previous right-wing proposals to privatize the ports, insisting that the state maintain at least a 51 percent stake in any collaboration with the private sector. The Port of La Unión was built between 2005 and 2008 as a shipping container terminal, but to date the port remains inactive. Nidia Díaz, head of the FMLN Parliamentary Group in the Legislative Assembly, quickly criticized Manes’ hypocrisy. “I don’t know of any Chinese military bases in Latin America and the Caribbean: the expansionism of bases and military instruments in the entire region has been precisely by the United States,” responded Díaz, calling on the ambassador to provide proof to back up her statements regarding Chinese military designs on Central America. Manes told the press that her concerns were about “truly helping the country we all love,” but the broader political and economic context suggests that her reaction has more to do with China’s threat to the United States’ economic and political dominance in Central America. For nearly a decade, the United States has pushed a raft of interrelated economic and political measures designed to further “open” El Salvador to international investment and to transform the coastal zone into an international logistics corridor and tourism hub. In fact, the U.S. credits itself for strengthening PROESA, the agency responsible for expanding imports and exports, including the exploration of possible deals with China, through the Partnership for Growth. As part of the deal, the United States government drafted a Public-Private Partnership law for El Salvador, which the FMLN was coerced into approving. Though the FMLN was able to exempt essential public resources like education, water, healthcare and public security from the final Public-Private Partnerships Law, its passage, which the Council on Hemispheric Affairs described as “aggressive reassertion of neoliberal economics,” mandated that all major state infrastructure such as ports, airports and roads be opened up to bids from international corporations. The U.S. government again has itself to thank for creating a legal framework under which China could, theoretically, more easily invest in the Port or other projects, likely adding to the Embassy’s indignation. The response in the Salvadoran corporate media to Manes’ comments has played out as expected, with the U.S. Embassy and the Salvadoran private sector echoing each other in perfect harmony. The right-wing ARENA party agrees with Manes that investment from China would be dangerous, as do the Salvadoran Foundation for Economic Development (FUSADES), the Chamber of Commerce and Industry of El Salvador (CCIES) and the National Association of Private Businesses (ANEP), who have taken to the airwaves to denounce the FMLN for jeopardizing international investment because of the party’s “ideological” position. However, the possibility of major infrastructure investment from China also raises legitimate concerns about labor, land rights, and environmental impacts. Social movement organizations in El Salvador only have to look at the Chinese-funded canal project in nearby Nicaragua to give pause to an open embrace of Chinese-funded development. 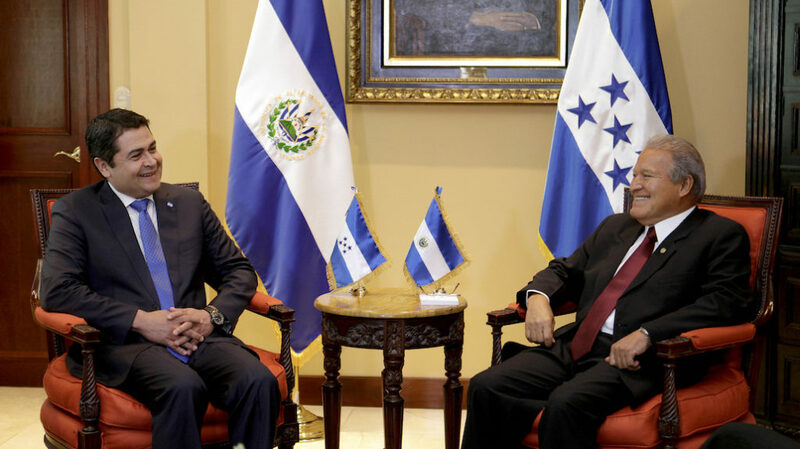 The U.S. Embassy and the Salvadoran right-wing are savvy enough to play up valid concerns about China’s track record while conveniently omitting their own and, in doing so, continue to press government of El Salvador to stay within the fold. Alexis Stoumbelis is the Organizational Coordinator of the Committee in Solidarity with the People of El Salvador (CISPES). Rafael García is based in El Salvador doing research on Salvadoran economics, politics and social movements.